Let’s Get Bedarded in Here: Are the Mariners Crazy to Bring Back Erik Bedard? Posted on February 5, 2010 by Notorious B.U.D. There's nothing wrong with being Canadian. There's lots wrong with being Erik Bedard. It’s really not much of an exaggeration to say that Seattle could sign a convicted murderer (or Richie Sexson) and the team would get a better response from their fans then they will if the Mariners bring back Erik Bedard. He’s not exactly what you would call a “fan favorite”. Though it’s probably not possible for one player to cripple a franchise, Bedard did his best during his two-year stint in the Emerald City. When he wasn’t on the disabled list with yet another arm injury (no one is calling him soft, no one) Bedard was struggling to last five or six innings on the mound in a pitchers’ park. And let’s not even get into all the players that were traded to pry him away for Baltimore (although we should briefly mention Adam Jones, Chris Tillman and George Sherril). When you look up “unmitigated disaster” in the dictionary Bedard’s mug will be staring right back at you (assuming your dictionary has pictures–I realize it’s not in everyone’s price range). Seattle has made tremendous strides this offseason to repair the damage done to the franchise by Bill Bavasi, are they risking it all bring back a jinxed/hexed/Canadian/cursed player? Well, no. This time around is a bit different from Bedard’s first go-round with the Mariners. He’s not expected to anchor the pitching staff, we’ve got Felix Hernandez and Cliff Lee for that (thank you Jack Zduriencik). Bavasi also isn’t around anymore, which means we aren’t going to grossly overpay for his services (I’d guess a 1 year/$1 million dollar contract with incentives) and since Bedard isn’t a free agent this time we don’t have to give up any prospects that would inevitably haunt us. Let's hope Bedard makes the most of his shot at redemption in Seattle. It sounds like because of his offseason arm surgery Bedard won’t be able to pitch until the second half of the season, making this deal very similar to the one Boston had last year with John Smoltz (let’s hope we have better success). If he his able to come back and pitch efficiently after the All-Star break and the Mariners are still in the thick of the playoff hunt, this signing could pay major dividends. It’s easy to forget because of all his injuries, but when Bedard is on the mound he is one of the top left-handers in the American League (5-3, 2.82 ERA, 90 K’s in 83 innings last year). Seattle has great pitching at the top of their rotation (Hernandez, Lee, Ryan Rowland-Smith) but there are plenty of question marks after that (Doug Fister? Jason Vargas?) 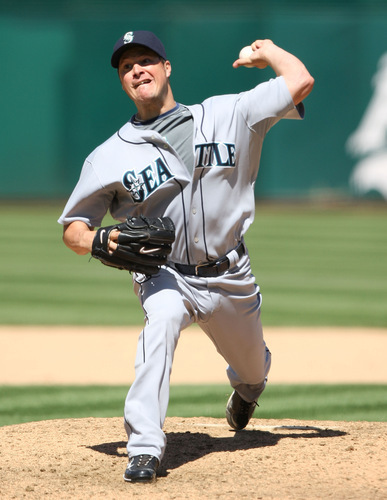 and a healthy Bedard could potentially give the M’s one of the best staffs in baseball. Let’s try and forget all we know about Erik Bedard and welcome him with open arms as a player that has the ability to help guide Seattle back to the postseason. After all, he owes us…big time. 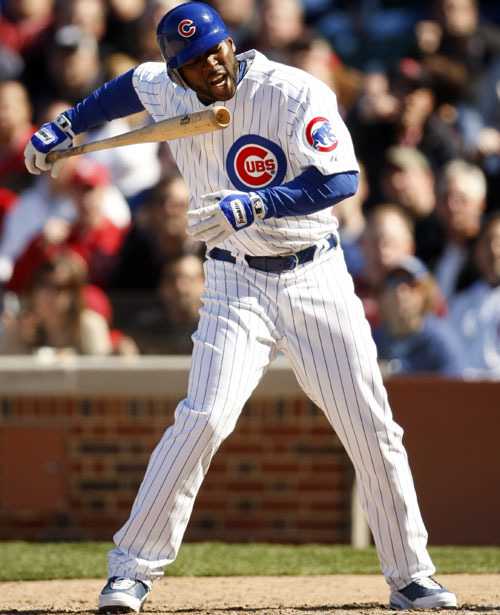 Seattle Continues Busy Offseason: Carlos Silva Traded to Cubs for Milton Bradley. Posted on December 18, 2009 by Notorious B.U.D. How will Milton Bradley's temperament fit in with the Mariners' good mojo? In what is becoming almost a daily occurence in the Emerald City, the Seattle Mariners have acquired yet another player in hopes of capturing the AL West in 2010, though this deal is anything but a sure thing. According to ESPN’s Jayson Stark, the Mariners have finalized a trade that will send pitcher Carlos Silva to the Chicago Cubs in return for outfielder Milton Bradley. Both players had long since worn out their welcomes in Seattle and Chicago respectively, and with each being slated to make around $25 million dollars over the next two years, this trade was the only real option for two teams looking to get rid of their constant source of headaches. The Carlos Silva experiment was an absolute disaster for the Mariners. 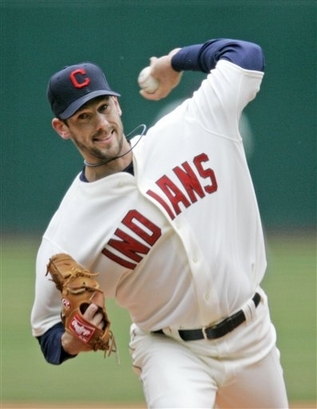 After signing a four-year/$48 million dollar contract in 2007 (a move which was widely mocked throughout the league) Silva went 5-18 over the past two seasons, including a 1-3 mark with an ungodly 8.60 ERA in 2009. In fact, about the only positive thing Silva accomplished during his time in Seattle was getting hurt last season, allowing the Mariners to develop young arms in their rotation. One of the last painful reminders of the Bill Bavasi era in Seattle, the fact that the Mariners were able to get anything for Silva is a miracle, and while Bradley does come with his baggage, he also offers tremendous upside at the plate. It didn’t take long for the Cubs to figure out that Bradley wasn’t a good fit for them. In fact, it didn’t even take a full season (he was suspended on September 20th). Plagued by injuries throughout the year and serving as a constant distraction to the team with his outbursts and tirades, Chicago was dead-set on moving Bradley this offseason but couldn’t find any suitors other than the Mariners. Signed to play in the outfield last year, Bradley struggled defensively and only hit .257 with 12 HR’s and 40 RBI’s. Still, his keen batting eye allowed him to post a .378 OBP (which would have been second on the M’s last season), and Bradley has constantly shown himself to be an adept hitter—when he’s healthy and happy. Long regarded as a clubhouse cancer, Bradley seems to create controversey wherever he plays, and may prove to be more trouble than he is worth for Seattle if they can’t find a way to keep him under control. The Mariners needed to find a designated hitter after the news that one of their primary targets, Nick Johnson, planned to sign with the New York Yankees. Keeping Bradley off the field will help neutralize the risk for an injury, but will his disruptive presence ruin a clubhouse that was one of the best in all of baseball last season? Seattle is gambling that veterans like Ken Griffey Jr. and manager Don Wakamatsu’s zen-like personality will be able to keep Bradley in line, and if that works, they’ve acquired a top-flight hitter who will be a welcome addition to their lineup. There’s no debating Bradley’s talent (career .371 OBP) but his off the field problems are a very real issue. Jack Zduriencik has certainly earned the benefit of the doubt thus far, and Mariners’ fans hope that Bradley will be a key factor in the team returning to the playoffs…and not just Carl Everett part two. The Day After: A Closer Look At What the Cliff Lee Deal Means to the Mariners. Posted on December 16, 2009 by Notorious B.U.D. The acquisition of Lee gives Mariners' fans plenty of reasons for optimism in 2010. While the dust has yet to settle on the biggest deal of the offseason, it’s evident that Seattle’s acquisition of Cliff Lee will have some dramatic effects on the Mariner’s franchise for next year and beyond. Long an afterthought in the baseball landscape due to an incompetent front office’s baffling signings and trades, Seattle has put themselves back on the map by becoming a major player in the free-agent market for the first time since getting burned on the acquisitions of Richie Sexson and Carlos Silva (the team overpaid for Adrian Beltre too, but he wasn’t nearly as bad as Sexson and Silva). Under the guidance of new general manager Jack Zduriencik the Mariners are suddenly a chic pick to win the AL West in 2010 and possibly to make some noise in the playoffs if the team can acquire a few more bats for their lineup. Though there is much work left to be done, Seattle is certainly making their presence felt this offseason, and the Lee deal is a major step towards redemption for the Mariners’ franchise. By trading for Cliff Lee the Mariners create the most dynamic starting duo in all of baseball, pairing the left-hander with righty Felix Hernandez (fresh off a second place finish in the 2009 Cy Young balloting). Lee, a pitch-to-contact type hurler, should thrive in the spacious confines of Safeco Field and will also benefit from having one of the best outfield defenses in the league (depending on who fills out leftfield). The left-hander has primarily been a fly-ball pitcher throughout his career, but in recent seasons has induced more groundballs and will rely heavily on a strong left-side of the Mariners infield anchored by Jack Wilson and Chone Figgins. Though not overpowering, Lee has a solid fastball and an above-average curveball, which should allow him to average six to seven strikeouts per start. The fact that Lee is lefthanded will also pay dividends for the Mariners if they reach the playoffs, allowing them to neutralize some of baseball’s best hitters, many of whom struggle against southpaws (Ryan Howard, Curtis Granderson, Chase Utley, Andre Ethier, Raul Ibanez, etc). Additionally, Lee does a stellar job of neutralizing opposing team’s running games, having never allowed more than nine stolen bases in any one season, which will take pressure off Seattle’s young catchers. Cliff Lee is a certified staff ace in every since of the word, and his addition alone significantly closes the gap between the Angels and the Mariners in the AL West. Cliff Lee and King Felix give the Mariners the best 1-2 combo in baseball. 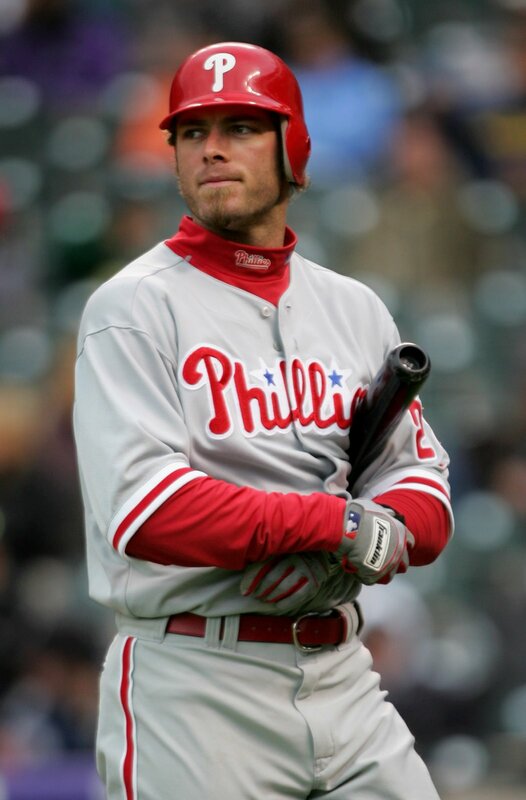 The one caveat to this trade is the fact that Cliff Lee is only signed through 2010 and there are rumors that he is looking for C.C. Sabathia type money (7 years/$161 million). While it’s clear that the Mariners won’t have the necessary funds to sign both Lee and Hernandez to long-term deals, Seattle’s commitment to winning will give the franchise leverage when (if) they decide to resign one of these two pitchers. If somehow the Mariners find themselves out of contention at the trade deadline Lee will be the best pitcher available once again, and would allow Seattle to recoup prospects for their farm system. The other scenario, Lee leaving at the end of the season and testing the market, would also net the Mariners two draft picks (a first round pick from the team that signed him plus a sandwich pick) because Lee would be a Type-A free-agent. Zduriencik really covered all the bases with this trade; however you slice it, the Mariners are going to come out winners. It wasn’t all that long ago that the Seattle Mariners traded away a package of prospects for another left-handed pitcher, and it’s painfully obvious now that the Erik Bedard deal was doomed from the start (except for the Baltimore Orioles). This time around though, the Mariners are acquiring a pitcher with a much stronger track record for success and durability, and they aren’t selling the farm in order to bring him aboard. It appears that Seattle will be sending three prospects to Philadelphia; pitchers Phillipe Aumont and Juan Ramirez, as well as outfielder Tyson Gillies. While all three players have some upside none of them are labeled as “can’t-miss” prospects, and they presumably won’t haunt the Mariners like Adam Jones and Chris Tillman. Can Griffey and the Mariners get to their first ever World Series in 2010? Aumont was Seattle’s first round choice in the 2007 draft, a long, lean right-hander who was originally a starter but since has been converted to the bullpen. The 20-year-old was good but not great between Single and Double-A in 2009, struggling with control at times while walking 11 batters in only 17 innings for the West Tennessee Diamond Jaxx. Ramirez projects as a number two starter, a right-hander with a hard fastball and developing off-speed pitches. If he is unable to handle the strain of starting, Ramirez has the stuff to be a quality arm at the end of the bullpen, possibly even as a closer. Gillies is one of the fastest players in the minor leagues (he has 96 speed on a scale of 100) who stole 44 bases for the Mariners’ High Class-A affiliate. He had an outstanding season at the plate in 2009, hitting .341 with 9 HR’s and 42 RBI’s, though it should be noted that the High Desert Mavericks play in the hitters’ friendly California League. Out of all the prospects involved in the deal, Gillies has the best chance to become an impact player at the next level, but Seattle already has a long-term answer in centerfield with Franklin Gutierrez. Thanks to an aggressive general manager and some key offseason moves the Seattle Mariners are once again relevant to the baseball world. It’s hard to believe that just two years ago this team lost 101 games, but the franchise has clearly turned over a new page in their history, and GM Jack Zduriencik has the team poised for a return to the postseason for the first time since 2001. With King Felix and Lee anchoring the rotation, and Ichiro and Figgins setting the table, Seattle is a very dangerous team on mission to win and win now. Next stop, the 2010 World Series? Posted on September 22, 2009 by Notorious B.U.D. Despite an abnormally large cranium, Bavasi displayed little intelligence with the M's. When the signing of free-agents like Richie Sexson and Carlos Silva aren’t the biggest mistakes your team’s front office has made, you’re either a part of Raider Nation (A kicker in the first round? ), a long suffering Pittsburgh Pirates’ supporter (17 straight losing seasons, but who’s keeping track? ), or in this instance, a Mariners’ fan still coming to grips with the depths of Bill Bavasi’s inept tenure as general manager. At least John McLaren didn’t sucker punch third base coach Bruce Hines while he was manager…we think. During his time as general manager, Bill Bavasi was caught up in a neck-and-neck contest with Clay Bennett and David Stern to see who could become the most hated man in Seattle, and somehow Bavasi beat out the duo that stole basketball from the city. 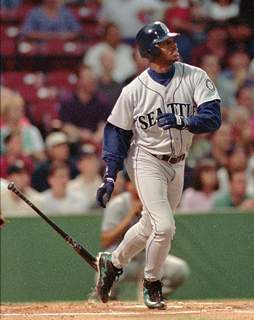 Ken Griffey Jr.’s triumphant return to Seattle this season brought untold joy to the denizens of the Emerald City, but it paled in comparison to the excitement that rippled through the streets when the sad-sack Bavasi was finally given his pink slip last season. Anytime a fanbase is more excited about the firing of a GM than the return of its greatest player ever, well, then things probably just aren’t going as planned. It was the best of times, it was the worst of times. But mainly, the worst of times. Unfortunately, that’s exactly what happened to Mariners’ fans after more and more of Bavasi’s “brilliant” acquisitions went up in flames. His signings of has-beens like Sexson, Silva and Jose Vidro and questionable draft picks (Jeff Clement over Ryan Zimmerman, Ryan Braun and Troy Tulowitzki in 2005 and Brandon Morrow over Tim Lincecum and Clayton Kershaw in 2006) put the Mariners’ organization in a hole they are still digging themselves out of. But Bavasi’s worst move of all, which is really saying something, was the fateful trade of February 8, 2008 that brought convicted felon Canadian southpaw Erik Bedard to Seattle. The Mariners were fresh off a 2007 season that saw them go 88-74 and there was plenty of buzz about what the team could do in the AL West. Bavasi was bullish about his team’s chances in 2008 and figured that one big move was all Seattle needed to compete for the World Series. The trade had been in the works for quite some time before being finished in early February, with the Mariners sending a package of five players to Baltimore in return for Bedard who was coming off a season in which he went 13-5 with a 3.17 ERA and 221 K’s in 182 innings, finishing 5th in the Cy Young race. Bavasi’s acquisition of Bedard in and of itself wasn’t a bad idea; here was a young, quality left-handed pitcher with plus stuff and the ability to create dominating 1-2 combination with Felix Hernandez. The real problem was that Bavasi greatly overvalued the talent within the Mariners organization and failed to realize that 2007, a season in which the Mariners won 14 games more than they lost despite a negative run differential, was a statistical anomaly and not a harbinger of things to come. 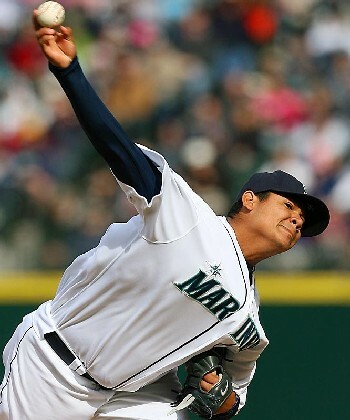 Seattle players like Jose Vidro and Richie Sexson had overperformed, and thus were due for a regression in 2008, and adding Silva to the starting rotation was a mistake from the beginning. The good news is he’s only around for two more seasons. The bad news is that he’s due $24 million over that span. That’s no bueno. Adam Jones ascension to stardom has made a bad trade even worse. In addition to misjudging the playoff chances of his team with the addition of Bedard, Bavasi also sold the farm, quite literally, in order to bring in the lefty. Bavasi’s time as GM of the Mariners was marked by his extereme myopia, and this was never more clear than when he sent Adam Jones, George Sherrill, Chris Tillman, Kam Mickilio and Tony Butler to Baltimore. Jones was the top prospect in the M’s organization, a speedy outfielder with 30-30 potential and tremendous range in the outfield. After experiencing some growing pains his first full season with the Orioles, Jones came into his own in 2009, hitting .277-19 HRs-70 RBIs-10 SBs before being shutdown with a leg injury. The Mariners certainly could have used his services in left-field this season, a position manned by the likes of Endy Chavez, Michael Saunders and Ryan Langerhans. Can you imagine an outfield of Franklin Gutierrez, Ichiro and Jones…there would never be a double hit by an opposing team in Safeco Field. Quite simply, Jones is a star and the player that the M’s will most miss down the road from this deal. But it wasn’t just Jones that left town for Baltimore. Sherrill was a shutdown lefty for the M’s out of the bullpen, who became a closer for the Orioles, and is currently enjoying the best season of his career since being traded to the L.A. Dodgers (0.40 ERA, 15 hits in 22 innings with LA). Tillman is a tall right-hander starter with the potential to become a staff ace (8-6, 2.70 ERA, 154 Ks in 135 innings at Triple-A), and at only 21-years-old, should be a top flight starter for the Orioles over the next 5-6 years. Mickilio, in addition to being one of the tallest players in the league at 6’9″, has been a strong arm for Baltimore out of the bullpen, with a 2.63 ERA and 14 Ks in 13 innings this season. The final player in the deal, lefty Tony Butler, has struggled with injuries in the minors but is still only 19-years-old and if he develops could make this one of the most lopsided deals in the recent history of baseball, in the same breath as the Bartolo Colon for Cliff Lee, Brandon Phillips and Grady Sizemore deal between the Cleveland Indians and Montreal Expos…a trade so bad that the Expos don’t even exist anymore! 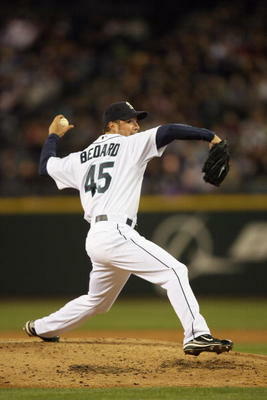 Erik Bedard starts at Safeco were less common than Bigfoot sightings. To recap, the Mariners traded an All-Star outfielder and closer, a future #1 starter, and two more promising arms in return for a pitcher who threw a combined 164 innings in two seasons. Bedard hasn’t been bad when he has pitched (11-7, 3.24 ERA, 9 Ks/9 innings) but with the recent news that he will be shutdown for the remainder of the season with yet another shoulder injury, he isn’t exactly endearing himself to Seattle fans. Bedard has indicated that he would be interested in returning to the Mariners next season, but would the Mariners or their fans even want him back? Unless the lefty agrees to a 10-year deal for the league minimum and promises to start taking enough tough pills to stay off the disabled list, Seattle should show Bedard the door at the end of the season and put all memories of this horrendous trade to rest. Of course that won’t be easy as Adam Jones and Chris Tillman continue to develop into stars and the Mariners continue to toil in mediocrity, but it never hurts to dream. Thanks Bill Bavasi. Seattle will never forget you…for all the wrong reasons.